Milly Johnson has been writing her whole life, whether it’s greeting card copy, poems and jokes, or the (almost) library of novels that she now has under her belt. She’s not afraid to be completely honest and candid with pretty much everyone, and takes life with a giggle as well as with a grain of salt. She lives with her two sons, one dog, and a whole herd of cats in the middle of Barnsley, South Yorkshire. 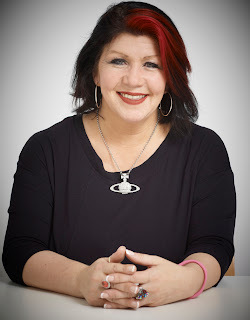 She still writes the occasional greeting card, and uses her excellent command of the language to pen an engaging blog, as well as write new novels, and keep up with her fans and friends on twitter. Also, she has really cool hair. We’re so excited to have Milly here with us today to talk about her new novel "An Autumn Crush," a story about how complicated relationships can really be. Juliet Miller is recently divorced and half-heartedly advertising for a roommate when she meet Floz, a copywriter who is also still raw from a hard breakup. When Guy (Juliet’s twin brother) meets Floz, he’s immediately smitten, while we also learn that Guy’s best friend Steve is harbouring a massive crush on Juliet. Anything this complicated can’t end well for everyone...or can it? Pick up your copy of “An Autumn Crush” today, or better yet...enter to win below! Not only are there TWO books up for grabs, but also a lovely bag and some bookmarks for each winner. And best of all, the giveaway is open worldwide! Visit Milly at her website and blog, as well as Facebook and Twitter. 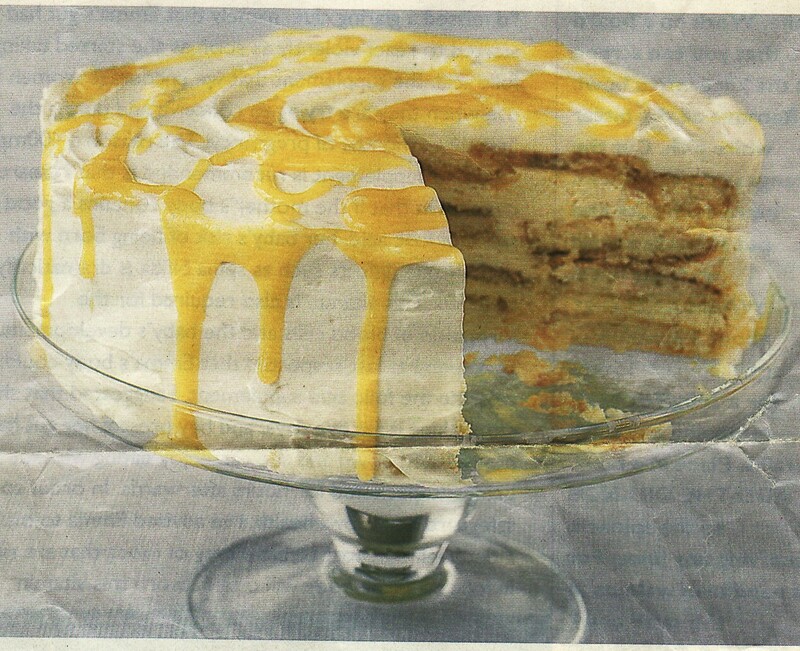 The recipe is a lovely Delia Smith one which I found ages ago and it's a lovely light cake after all that richness - note it contains raw eggs! 1 - split the sponges in half lengthways, then place a layer of them in the bowl followed by a layer of the mixture. Repeat finishing with a layer of sponge. 2 - Finally, cover the dish with foil, place a small plate on top to weight the cake down and leave in the fridge all night. 1- whisk the cream until thick and fold in 2 tablespoons of the lemon curd. 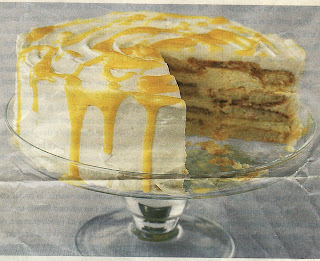 2 - loosen the cake round the edges with a palette knife, turn it out onto a serving plate and cover it all wih the cream. 4 - scoff and enjoy! Special thanks to Milly for sharing her recipe with us and her gift package with our winners! 1. Please tell us: What is the craziest crush you've ever had on someone? That recipe looks DIVINE! My craziest crush was SEVEN years on the one guy - I only ended up going out with him for five months!! I follow the blog and I'm a FB fan. I would love to win this- looks like fun! I had this crush on a guy in grades 7 and 8. I was borderline obsessed with him! I used to write our names all entwined, etc. Oh, young love, LOL! I am a Facebook member as well. This book sounds so good! Love all the twists that are in store. And that cake - wow. Looks very light and delicious. I have had some massive crushes in the past that I would nurse for years. The craziest part is that they would eventually come to fruition in passionate turn of events. Very good memories! As I know I've mentioned a few times that I was trying to pursue a musical career some years back I have a crazy crush story that relates to that era. I was at a club which showcased local talent (rock bands to be precise) and there was this guy at the club who was gorgeous. I couldn't stop looking at him and my friend tried to coax me into approaching him and start conversation. I was too chicken. Anyway I was going for an interview for a new job the following day at a cool record store. (yes back in the record not cd days)Well guess who was the super visor that interviewed me. Yes the hottie! I was so glad I didn't try to pick him up as per my friends advice. I'm sure I was beet red through the interview but I did get the job and as it turns out he was a musician and we became good friends. I am a follower. Now that I've really found love, all of my previous interests seem like crazy crushes! I had a crush on this guy I hardly knew and he went to a different college all through college. I had a crush on a teacher. Nothing bizarre or gross. Just a school girl crush. my crazy crush is ongoing , Barry Gibb ! Already joined you on FB! craziest crush was during elementary. I don't think I ever had a crazy crush. I can only remember one crush. It was for a boy who rode my school bus. Once I went to a different school, I forgot about him. Not too crazy!! I am already in the Facebook Group. I follow on email and FB! I had a crazy crush on my high school religion teacher who is now a priest (I know student-on-teacher crushes are typical, but this one was crazy insofar as I really though we might end up together despite no reciprocal feelings from him -- the now priest). 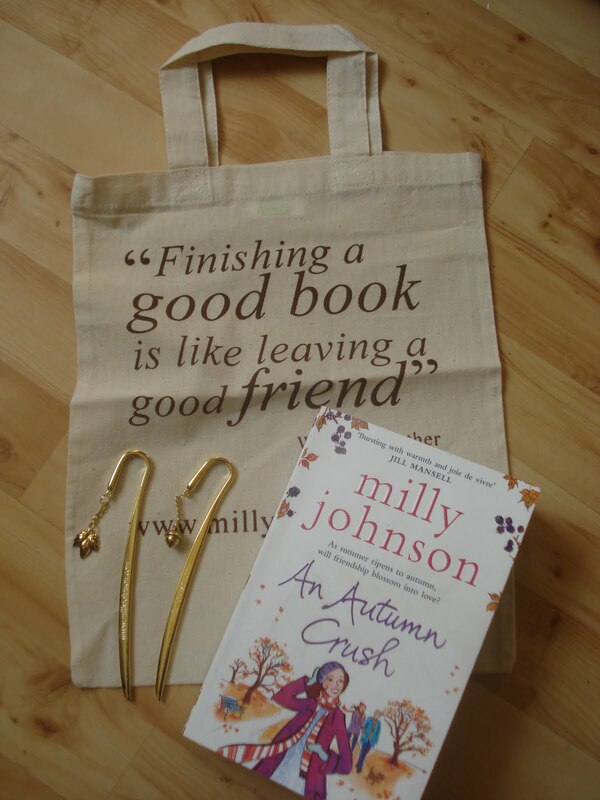 I would love to win a copy of An Autumn Crush! I guess the craziest crush I had was on a lifeguard that was SEVERAL years older than me! Still think he's kinda cute! I follow your blog AND I posted about it on twitter! 6 years and we are together 12 years. Oh my, I'm in love with that tote bag! And the cake looks delicious, I'll make sure to try it =) Thank you for sharing! First entry: I'd love to be entered! I had a really strange crush type thing on one of my professors last year. The bad part is, I dropped that class, need to take it again and he's the only one who teaches it there. Oh, also brought Jaz Villegs to fb group! My craziest crush lasted 16 years and it didn't end well. I follow the blog, twitter and facebook. The craziest crush I ever had was during high school and I had a HUGE crush on a substitute in my school. He was SO cute! !